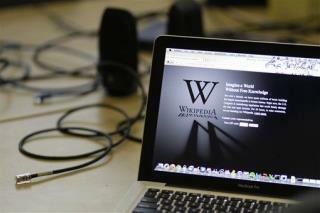 (Newser) – Expect a little less misinformation while browsing Wikipedia today. The website has deleted 381 sock puppet accounts—those of paid users who edit articles on a subject to which they have some affiliation—in a bust for "black hat editing." Fusion reports that an investigation, dubbed "Orangemoody" after the first sock-puppet account found, kicked off in July. Investigators have so far found at least 254 compromised pages on the site, covering everything from bitcoin casinos to a Brooklyn songwriter. They "were generally promotional in nature, and often included biased or skewed information," the site says, noting the edits were "similar enough that the community believes they were perpetrated by one coordinated group," active from April to early August. Anything you read on the Internet and take as gospel, you should do yourself a favor and further research it. The Internet is a wonderful source of truth, lies and lots of gray. Wikipedia is a fantastic resource. I have a full set of Encyclopedia Britannica and I haven't opened one in years. Pick a subject that is not controversial and it's there at the touch of a button. Used to be you would have to go to a university library to explore topics that deeply.